Still Think Low-Fat Dairy is the "Healthy Choice"? Think Again! I’ll keep this one short and sweet. Okay, maybe not sweet, since it’s a bit of a rant—but so be it! When I’m at home and in my normal routine, it’s easy to make the mistake of assuming that we’ve made a lot more progress in terms of shifting the public perception of what constitutes a healthy diet than we really have. After all, nearly everyone I communicate with on a daily basis (friends, family, colleagues, readers, etc.) understands that red meat isn’t evil, eating cholesterol won’t clog your arteries and give you a heart attack, and whole grains aren’t nutritional powerhouses. So it’s always a bit of a shock when I go out on the road and find that the world at large still does not share these views. For example, lately I’ve been traveling quite a bit. In the mornings I’ll often head to Peet’s or (only if there’s no alternative) Starbucks and order a coffee. Inevitably several people in front of me will order either a non-fat latté or some other coffee drink with either skim milk or soy milk added to it. In fact, in the last several months I can’t remember a single person that asked for whole milk. Find out why cream, butter, and whole-milk products are better for you than non-fat dairy. It bears mentioning that all of these studies were observational in nature, so they don’t prove that full-fat dairy is responsible for all of the effects mentioned. But they certainly make it difficult to argue that full-fat dairy is harmful and contributes to obesity, diabetes and heart disease, and if anything, they suggest the opposite is true. Of course some of you might argue that all of this is a moot point, because we shouldn’t be consuming dairy products at all. I’ve addressed that question at length in my book, and in blog articles like this one. Instead of a non-fat latté, choose whole milk. Better yet, make your coffee at home and put some organic cream in it. Instead of non-fat Greek yogurt, choose whole milk yogurt. Instead of margarine or one of those “fake” butter spreads made with vegetable oils, choose butter or ghee. Instead of reduced-fat cheese, choose the real thing. It might take a while to get used to the taste of full-fat dairy products if you haven’t had them for a while, but you’ll adjust quickly—and your body will thank you! Now I’d like to hear from you. Do you consume full-fat dairy, or are you still on the non-fat/low-fat bandwagon? If you’ve recently switched from non-fat/low-fat to full-fat dairy, what have you noticed? Let us know in the comments section. Great article. Making the switch to full fat foods, along with introducing a large abundance of full fat raw dairy, is one of the reasons for my positive turn in digestive health, along with remarkable weight loss. I’m luisieno Indian and now tend to eat a lot of raw full fat cheese, full fat yogurt, homemade raw whole milk kefir, lots of raw and grassfed butter, and drink raw whole milk by the glass when I can get it. I eat more dairy than ever before and have honestly felt better than I have felt in 6 months. I acknowledge I have not had bloodwork to see how I’m responding internally, but if general increased energy and necessary weight loss are positive signs, then introducing more full fat dairy was the right move for me. Do you need the IGF-1 that a calf needs to double in size in six months? Do you need all the toxins that increase greatly your risk of cancers? Do you need the calcium joined by the animal protein that results in consumers having more bone fractures? Gut flora can convert fiber into short chain fatty acids, in significant amounts too. If we consider that beneficial, I don’t know why consuming SCFAs directly would be a concern. In both instances they’ll enter the bloodstream and have the same effect. Hey Chris, like reading your posts. I am inclined to do whole milk, but I noticed when I consumed whole milk kefir and yogurt I had body odor problems. On the other hand, it reduced my gynecomastia. When I consume low fat milk, my odor goes away but my gynecomestia comes back. Any take on this? I only buy organic, 99% lactose free. That is really interesting! I’m so glad you posted. My son has gynecomestia and is truly addicted to dairy products. I successfully treated my horse’s laminitis (an inflammatory metabolic disease) with double cream. The results can be found at http://www.open-science-repository.com/the-milk-fat-double-cream-as-an-effective-antiinflammatory-in-the-treatment-of-acute-laminitis-2-case-studies.html. For people with a healthy lifestyle (such as endurance athletes who eat a balanced diet including lots of healthy fats and colorful vegetables), there seems to be no legitimate reason to avoid nonfat dairy. With a healthy lifestyle, concern over obesity, diabetes, and cardiovascular disease may not be as great as it is for most Americans. I absolutely love full-fat dairy, and I wonder if it could be a problem. Not with my weight which is ideal, though my cholesterol is high. My other markers are fine though. I eat raw grass fed butter, raw cream, along with raw kefir and yogurt. No milk really, except on half and half in restaurants. I do eat pasteurized full fat dairy too when convenient ori cant get my Amish products. I’m a bit concerned about either the calcium or lactose content, which is why I usually stick with ONLY dairy fats. My concern is that I’ve read that dairy (protein? calcium?) may be linked to prostate cancer. I can’t deny that I feel really good eating full fat dairy but are there other health concerns we should be aware and careful of in consuming dairy? We use butter and full fat cheese but my husband eats 0,1% yoghurt – I don’t like any kind of yoghurt. But we have been using 1,5% milk for 11 years. Recently I have read several articles that claim that these low fat milks are supplemented with something that causes rather than prevents weight gain. (I live in Europe) So now I’m considering switching to full fat milk again. I also read a report that said if you want a flat stomach, there are 6 foods that you should never eat and low fat milk was onecof them. Yes! Full fat milk and you can make your own full fat yogurt! If you can’t find yogurt makers in Europe, try http://www.culturesforhealth.com! No dairy, except maybe low-fat Greek Yogurt, is the healthy choice. Richard, the only thing for which you should use low-fat yogurt for is to mix into whole milk to make whole milk yogurt… which is quite easy. I happen to agree with you Richard… No dairy for me. Combining milk, eggs & sugar is a recipe for disaster! Well, you are right about the sugar! fat yogurts in Europe…” GREECE is in Europe! And apart from Greece, famous the world over for its goats, sheep’s milk and cows yoghurt, yoghurt is made everywhere in every European country and you can buy full fat yoghurt in every supermarket, although I like to buy it in Greece in its own clay bowls. I have yet to see that milk does anything good for humans but there are many studies indicating that it is not good. One glass of milk a day increase significantly the risk of prostate cancer. There certainly is no proof that milk builds strong bones, on the contrary there are studies indicating excessive animal protein causes cancer, weak bones and heart disease. The milk proteins are definitely not good, unless you are a growing weaned baby. But even then the fats are important, to avoid obesity for one. Also to obtain the natural A,D,E and K vitamins that are all fat soluble. “Fortified” (lite) milk has synthetic vitamins, far from the real thing. Hence I only use cream and butter, never milk. The blood sugar and insulin rise from milk, the lighter the more with same amount of calories, usually makes one hungrier again, sooner after a meal. The milk protein induced insulin spike hides away the nutrients into the fat tissues instead of leaving them available in the blood as naturally fat milk would do…. ! Obesity follows with lite milk, now proven even for kids 2-4 years old in a US study. Hence beware of official nutrition advice, most likely the key reason so many are fat today! What were the other 5 things for a flat stomach? I had always heard that while pasteurization kills bad bacteria, it also kills good but even more harmful is the homogenization process. Essentially, I heard, that makes the milk genetically modified. But you can’t find milk, even powdered (yuck) that isn’t homogenized unless you can get it straight from the cow, Of course we don’t all live close to dairy farms. We love dairy at our house but try to consume it in moderate portions. Teen age boys don’t seem to get this. LOL So what about eggs? I have my own chickens and like the free range eggs better. But those are also listed by many Dr’s as food we should NEVER eat. Because you see some low-fat milk loaded with sugar is not the reason milk is not healthy. Are the countries that consume loads of dairy healthy…..no! Are the five Blue Zones that consume very little dairy healthy….Yes! Don’t be so skeptical. Advice from this site helped me overcome almost constant diarrea. I think it may have saved my life by alerting me to kidney failure from taking Prilosec which was damaging my kidneys. It has helped me stabalize my weight. I now never go hungry but my weight is always within a pound or two of normal. 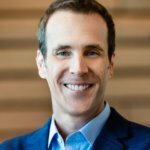 I highly recommend considering Chris Kresser’s advice. I have no idea why your comment was directed to me. First of all, I do not consume dairy products, with or without sugar! Second, most comments on this site, as most sites, are filled with nonsense. I am very familiar with the Blue Zones. I lived on Okinawa for four years and have four books concerning the Okinawan diet and the Blue Zones. I prefer Drs Ornish, Esselstyn, Fuhrman and several others over what I find on the Internet in sites supposedly advocating good nutrition. Keep your thoughts, I am not trying to convince you of anything. Enjoy and bye! This is a question more than it is a comment. I have been doing a lot of research on this matter. While I can find information about why whole is better than nonfat/skim, what I can’t seem to find is information on the middle ground. What about low-fat? I read a quick blurb a while ago saying that chemicals were added to make mil product low-fat (as well as non-fat). Is there any truth to this? How do you weigh in on low-fat mil products in general? Any info. is highly appreciated, as I just love having a science-based answer when people ask why on earth I get whole milk at Starbucks, and buy “whole fat” cottage cheese. Thanks! If you read the comment almost directly below yours, you’ll see one of the good reasons for going whole fat. The other reason is that a lot of lower fat foods have sugar added to them to make them more palatable. Even without the added sugar, a whole food is generally more appropriate to eat. The less food is processed (generally but not always!) the more healthy it tends to be. That’s my point of view, anyway. Your mileage may vary. My personal experience is that you get fat by esting low fat products. The reason is that you get hungry again soon after a low fat meal, and then you have a hunger for sweets. Meals with more fat keeps you satisfied longer, and you will not have the same hunger for sweets. I have gone from a BMI of 29 to 23 after I discovered this, and I do not even struggle to stay at 23, for me it just came naturally with a low carb an high fat diet. If you have all this evidence suggesting whole milk is better for your health, how come the AHA and all those other health organizations still continue to recommend lowfat or slim milk to everyone? Yes, the AHA is not nearly perfect but I think there are many better sources than this site or the AHA. For example, excellent sources are the long-living cultures where we can study their diets, activities and social life. read the first paragraph of the article again. They are wrong! We had my poor husband on a low fat diet for years per doctors orders and because he didn’t want to take a statin – his cholesterol and triglicerides would always be high and he was hungry all the time!! I happened to read the book, Nourishing Traditions by Sally Fallon – she says basically the opposite of what we have been told for years- I realized we had been basically lied to by “health authorities”. We now enjoy REAL food- butter, whole (raw) milk, red meat from farmers etc…. My husband’s cholesterol was down at his last doctors appt. and the doctor was amazed….my cholesterol is a bit higher than it was before, but my hdl level is excellent! They have lied to us about cholesterol too – our bodies and brains NEED it! What burns me up is that when our kids were young I listened to the pediatrician. And gave our girls 2% rather than REAL whole milk!!!! You’re right. Medical science is way behind. Well intentioned, but I have found the exact opposite of their advice is correct. Doctors don’t want to be sued. If they recommend a FDA approve medication, they are protected. If they recommend with other advice, they have a liability. Try talking to you doctor about things you learn on this site. They aren’t interested despite improvement in you annual physical. Sadly, that makes a ton of sense. I hadn’t thought of that angle- just thought it was all money driven by the drug companies. Of course they are trying to protect themselves! Doctors are not trained in nutritional science. I do not know where you get the term medical science and then speak of what doctors tell you. Doctors are in the medical field and focus on pills and operations, basically because that is where the money is. Nutritional science is totally different and it is way behind the curve because there is little money in it. NIH spends billions on research but only less than 5% of it is in nutritional research. The people producing and selling whole plant-based products do not have the money to spend on research or marketing. The people selling meat, fish, eggs, milk and processed junk have the money for research and marketing. That is what makes the nutrition field confusing, doctors, government and the food industry are not looking out for the long term health of the consumer. Apart from that doctors education was hi-jacked by big pharma over 70 years ago by generous donations that come to the cost of that same donors were allowed to “donate” also advise about the education and books like “Merck Manual” and how to use it. A great book to diagnose, each diagnose ending in “best possible” treatment usually in the form af pills. Soon gone were also the then recent findings that serious vitamin C deficiency caused scurvy and less serious had bad effects on skin, tissues in general, and also caused easy to break/leak blood vessels. Few today know that Niacin is essential to avoid sunburn, and Beriberi is similar to Chronic fatigue syndrome, helped by Vitamin B1 ! More about doctor education and in particular “further education” in this recent blog post by Jason Fung: https://intensivedietarymanagement.com/big-pharma-behind-scenes/ . Hence doctors do not only get follow on education by the pharma reps. ! An alternative to Merck Manual summarizing all the symptoms of know vitamin deficiences is badly needed. Then root causes instead of symptom would be treated, often once off by changing to a better diet ! Also the “great donors” above systematically excluded all naturalistic healing. But doesn’t whole milk contain more saturated fat, which in term overloads your liver and contain the most cholesterol and calories? is there any experiment to prove your statement that full fat milk is better.. thenn plz do send mee.. I went off dairy and gluten for several months per a Naturopath’s recommendation stating that I ‘just don’t digest dairy,’ When I still had trouble conceiving my second child I remembered that I used to consume dairy regular in my first pregnancy – raw goats milk to be exact. I am now back on raw goats milk, making cheese and kefir. I am much closer to maintaining my fertile state and am glad to have dairy back in my life! However, the synthetic hormones/rbst in milk would be in concentrated in the fat so unless you are sure it’s organic it’s probably actually safer to choose skim milk (if you must have milk). Starbucks certainly doesn’t use organic dairy, so as much as I love half n half in my coffee I will only drink it black there. My daughter loves dairy products, every morning she eats cheese and drinks milk. I have had two doctors recently tell me to start drinking fat-free milk. I’ve refused because I believe they are behind the times where dairy and fat are concerned. I personally have a lot more dietary issues when I add grains to my diet than dairy. I try to follow a Paleo/Adkins diet to reduce the amount of GI issues I have. Fats, including dairy fats, are not a bad thing. We need a campaign to educate doctors on the benefits of reducing grains and processed foods in our diet and including good fats. Agree completely! I am shocked at how little the mainstream doctors I’ve come across know about nutrition. They are still dolling out “heart healthy grains” and “low fat” advice. I followed the Forks Over Knives protocol for 2 years and feel that it had a very negative impact on my health. Many of the clinical test cases in the Cleveland Clinic were people who had very serious diseases/conditions, so of course pulling them off of the processed SAD crap was very beneficial. (Probably putting them on plant-based paleo would have been too!) But in my experience, as someone who was not suffering from a serious illness and who was already at optimal weight and eating an organic plant-based diet, the long-term effects of a low fat, low protein diet was a different story. Something that people forget about the China Study, is that many of what they determined were the healthiest cultures, DID consume meat and fat but in moderation — often using it a side dish, condiment or flavoring element, rather than a central part of the meal — an approach that can be very healthy for people who do better with low-moderate protein levels. Some people’s versions of paleo are more plant-based than others — mine is very plant-based (75-80% or more) with moderate protein (15-20% depending upon my daily personal needs. My point is that there are extremes — all-plant like Forks Over Knives and all-protein and fat like an Atkins-type or very low-carb paleo. There may be some exceptions due to specific illnesses or conditions, but for most people a balance somewhere between the two extremes may be the healthiest and sustainable long-term strategy. Eating only a low fat plant based diet will literally starve an individual. I am quite active, to eat that sort of diet alone makes it virtually impossible to maintain my weight. Fat is a much better alternative to high carb and sugary foods for calories. Insulin levels are not spiked due to spikes in glucose from carbs and sugars. Life is truly about moderation, yet quality of life is important as well. Kris makes some very significant points concerning the benefits of fats in our diet. I love milk (okay truth: I love lattes) and I believe in eating full-fat if I’m having other dairy (yoghurt, butter, cheese). BUT! Whole milk always gives me a terrible, terrible stomach ache, whereas skim or 1% does not. What to do? Is the smallish amount of milk it takes to sustain my latte habit okay, as long as everything else I’m eating is whole? Why not? I’m of the opinion that unless your life literally depends on a diet choice (like a peanut allergy) you should be able to have some wiggle room so as to have joy in your life as well as health. I avoid most sugar as much as possible but tonight I’m indulging in a tiny amount of Irish whiskey. Will it kill me? Nope! So I’m going to enjoy it and be happy. I hope you can do the same with your lattes and skim milk. I would try coconut milk (not the lite). Unless you’re using raw cow’s milk, I’d say give up the store bought pasteurized cows milk ASAP. The enzymes are cooked out of it, the cows are raised inhumanely and injected with toxins that get passed on to the consumer. I am a milk lover and mix raw organic whole milk with raw organic skim milk (1/2 and 1/2). For a number of years I have eaten primarily organic foods except when eating out (perhaps too frequently) and indulging in ice cream (also too frequently). I have very recently discovered that I have significant plaque in my frontal artery (significant enough to have caused angina pressure symptoms on 3 different occasions while exercising). My cholesterol is very high (320), inherited from my father. I am 75 years old and in good shape. My goal is to get rid of the plaque. I am presently taking a host of vitamins and minerals that I’ve taken right along with some variations, but have added red-yeast rice, garlic, arginine, proline, taurine, (and glycine, lysine, and glutamine taken separately), lycopene, vitamin C in liposomal form (I have not taken much C for a few years because it bothered my stomach) and policosanol. I’ve seen research where a low-fat diet has been effective in getting plaque to recede and have switched to a low-fat diet. Any diet or supplement research you can pass on to me that might help me achieve the goal of getting rid of the plaque will be much appreciated..
Not sure if this helps as you mention you have issues with vitamin C but I’ve read that grapefruit, especially red grapefruit, helps to reduce the accumulation of atherosclerosis (hardening of the arteries). It also helps to lower elevated LDL (bad cholesterol and triglycerides (fat in the blood), and normalises haematocrit (blood thickness). Clarice, if you research just a bit about vitamin k2, best being a subunit called k7, you might just get the answer you are looking for. I ferment my own Natto, which is the highest natural source of vitamin k7 available. Vitamin k7 research has been shown to reduce calicification of coronary arteries by removing the calcium and directing it to the bones, where it belongs. It has also shown that Japanese populations, some who consume it daily, to eliminate osteoporosis. Kris has an excellent article on this and I highly recommend it. God bless and good health to you. Have you ever listened to Sally Fallon’s presentation? “The Oiling of America”. It’s free on YouTube. In it, she talks about how high cholesterol is a farse and especially in women, it may actually be protective. Consider cutting out all the sugar, any pre made/ processed food, grains, regardless of where you eat. That sugar in the ice cream is not your friend… Whole fat, organic, or whatever. It is worse than that . The other day a metastudy of LDL effect on people over 60 showed no association between high LDL and mortality, on the contrary many of the studies showed a benefit in longevity for those with higher LDL ! Only small LDL particles that are made when our liver is forced to make triglycerides from by high nutrient intake of carbohydrate dominated food are dangerous. With lots of healthy fats like olive oil, coconut oil, butter, vegetables plus moderate amount of meats without sugar packed barbecue sauces, no overeating and no triglycerides result. And intermittent water fasting for just one or better two days per week will soon remove all dangerous visceral fats built up over years. -For us that are over 60, enabling high fasting blood sugars to fall from often dangerous pre-diabetic levels after too many years of eating too many SAD meals. Reversal was possible for me! Haven’t touched milk in 30 years, if you’re going to use it, full fat unpasteurized is best if you can find it. If not, don’t use soy milk unless you want to consume excess estrogens, soy is unfit for human consumption. I agree that the ‘whole’ food is important. So why the rave on the benefits of whey protein isolate or concentrate?? All fat is removed. How is this beneficial??? Would be great if we could all be on the same page about what is healthy and what is not! Too bad of all the self-proclaimed ‘health gurus’ out there. I have always used full cream milk and dairy products. About twenty years ago, while on holiday, I bought my seventeen year old daughter a small bottle of 2% milk after she asked for milk. She got so upset with the “STUFF” I bought her that she did not talk to me the rest of the day. I started reading about low fat products, and agree with her description. I love coffee too, but please not the chemical caffeine free stuff. Argo Tea doesn’t even have whole milk, only skim and 2%. Company wide policy has been so negatively influenced by poor health knowledge. I was raised on a farm, drank raw whole milk from our cows, deployed cream on my cereal when it didn’t go up to the big house, and swam in ice cream. I’m 81, healthy, and gag when I put even low-fat milk on my cereal: it simply is too rich to tolerate — a bit like putting butter on an ice cream cone. I have no problem with whole milk that’s been cleanly dairied; go for it. But at my age, taste is important too. I am more concerned about the chemicals and pharmaceuticals carried more easily in the fat of dairy. Can anyone speak to this concern? Thanks to Peter Attia i switched to full fat heavy cream when visiting places like Petes. growing up in the fat phobic era rhis was difficult but he convinced me to try it. Not only did i not get fat but i felt amazing. Thanks Chris for revisiting this issue! Fat is the best part! If using unorganic meat products i still choose leaner cuts due to toxins hiding in the fatty parts of he cut. I no longer eat low-fat dairy. I don’t care for milk, so I drink keifer and soy milk. I do enjoy cheese a great deal. I admit I so completely absorbed the low-fat story for so long, some degree of incredulity and a bit of guilt still remain! But the benefits of going wheat free have been so great that I won’t go back to the high-grain, low-fat diet I got fat on. The declining health and nutrition of our citizens – particularly our children – is currently a major economic and therefore, security risk for our country. Sugar is widely identified as the most destructive culprit. Did you know that as a parent, if you would like for your child to be served organic, whole milk at a USDA participating school, that you are out of luck? Even with a doctor’s note? If your child attends a school or center participating in the USDA Food Program, their mandated choice is non-fat or 1% conventional milk, with possibly up to 15g of added sugar (in the form of low-fat chocolate milk). This is all mandated by an Act of Congress (true story). Please contact your congressional representatives today to have the Healthy, Hunger-Free Kids Act of 2010 amended to allow the serving of whole milk and to place parameters on the amount of added sugar allowed in school milk (and all foods) served! Or to, at the very least, allow parents and doctors the right to choose the healthier option. Excellent post, Amy…thank you! I did not know this but I will quote this in my new book on Kids Health! I never realised what an insidious thing school lunches are. Is there an opt-out available for parents in these countries that provide school lunches? Our schools in New Zealand often push the message that water is enough. Certainly that’s all that was provided for us when I was at school. “land of the plenty” school lunch is possibly the only meal that some children will have on any given day. Sadly, poor quality food is better than no food at all. There are now millions of children going hungry daily in the U.S. amidst all the riches and wastefulness. I agree that something needs to be done about quality of school lunches, but water only is just not a good option. Water would certainly be preferable to skim or 1%. Unfortunately, many parents buy into the same poor, outdated, 1970’s science that the government promotes, and they compound the problem at home. Fat is extremely important for growing children. Mother has the beginnings of heart disease, as well. Does anyone respond to the posts in this thread? High fat, coffee, grains… all very confusing. It would be helpful to hear some more definitive answers to these questions. Thanks! Treating cardiovascular disease is easier when you know what the culprit is. It’s all inflammation. Avoid processed vegetable oils such as canola, corn and soy oils, avoid processed sugars. Eat high quality proteins and fats, especially fats, avoid fish or krill oil, these contain derivatives. You need lots of 18 carbon Omega-6 from plant sources ( or animals that eat their natural plant diet, NOT grain-fed), every day. You will immediately notice better skin, which reflects better health. There is no Omega-3 in your arteries, it is not nearly as important as Omega-6. It’s all in the biochemistry. References can be provided. Check out the Weston A. Price Foundation site. They promote traditional nutrition and have lots of information on their website. I’m sure you’ll find plenty of helpful information there. Through extensive reading the past two years from sources such as yourself and others, I began to understand the importance of protein and dietary fat from clean, quality sources and now consume raw cows milk (or organic coconut milk) and organic kefir daily as my primary sources of dietary fat. Why is whipping cream a FODMAP but half and half is permissible? Half-and-half is definitely a FODMAP. I consume a full-fat, ultra low-carb Ketogenic diet, following the Carb Nite Solution. I’m quite happy with it and find it very satiating. Even when I am hungry without access to food, I’m not evil and hangry like I used to be! I’m very disappointed that there is no mention in this article concerning the difference between raw dairy products and those made from pasteurized milk. Also no mention about what kind of animals the dairy is obtained from (grass-fed vs grain-fed). If you are consuming pasteurized full-fat dairy products coming from grain-fed animals raised in the typical food factories (where animals are herded closely together in confined spaces with little or no access to the outdoors), you are NOT doing yourself any favors. In fact, this type of diet is very unhealthy! Chris, you know better than this! John, I can’t cover every aspect of a particular topic in every article I write about it. I’ve already written at length about raw milk and pasture-raised dairy. http://chriskresser.com/raw-milk-reality. Chris, what are your thoughts regarding those with fatty livers and high triglyceride levels. Is it advisable to eat full saturated fats in your diet? You can eat full fats ONLY if you limit or eliminate added sugars and grains from your diet. Read two books: Dr. David Perlmutter’s “Grain Brain” and Dr William Davis,”Wheat Belly” it will total enlighten you. High triglycerides will be a thing of the past once you become grain free and for all practical purposes added sugar free. Focus your energy on whole foods only – limit fruits to 15 grams a day max. You can do this and will feel marvelous. Maybe you meant fructose, not fruit. Also, remember too that drinking unfiltered caffeinated coffee will elevate your cholesterol. My wife is extremely “Health Food Conscious,” which has resulted in meals of leaves and twigs and branches. We also have volumes of low-fat, no-fat dairy products in our fridge. I’m happy to see this article reporting on studies which counter this trend in our home. The surprising fact here is, she actually sent me this article. So, my question to her is, “Do we now switch to foods I have enjoyed all my life?” As someone who is medicated for high B/P, Cholesterol, and Triglycerides I have been very conscious of what I eat in terms of fat. Who knew I was actually eating unhealthy by a diet of low fat everything? Happily, I think we will change our diet as a result of this article and the documentation included. When I went on a “High Protein Diet” for six months, my numbers were so dramatically lower, when my Doctor called to tell me what they were I asked him if he was reading someone else’s test results. I wouldn’t even think about consuming lowfat dairy except that I know i have a copy of the ApoE4 gene. I used to consume lots of homemade raw full fat yogurt, butter, and cream (along with more fattier meats and more eggs) until I found out I had the gene… I cut my animal fat down and my clolesterol numbers became more “acceptable”. Should I even care about the numbers? I love full fat dairy but got scared of it again after learning of my ApoE status. Thanks for that link. I haven’t seen that one, but I have seen others and the one thing that I can’t seem to get from them is anyone with a perspective of both health/longevity AND exercise/performance/fat loss. That’s the blend of info I need. Stop tracking your cholesterol number, it is not important, we don’t have a cholesterol sensor, the absolute number is unimportant. Go by how you feel, energy level, sleep and skin health. Those are the best indicators of health. Chris, thanks again for the excellent article. I am a long time fan of whole milk dairy, especially cheeses and yogurts. But as the father of two elementary school-age children, I am saddened that my childrens’ lunch milk options are limited to plain low-fat milk or chocolate low-fat milk. (Local school districts usually follow the National School Lunch Program nutritional guidelines.) Please sign the petition to lift the ban on whole milk dairy products in the NSLP: http://tinyurl.com/mu3bkyj Bring back the fat! I thought the problem with any milk that is homogenized is that the fat gobules are so small they pass directly into the blood stream, bypassing digestion, and causing placque, etc. Unhomogenized milk fat remains in the gut and can be digested properly with enzymes into smaller units that are assimilated by the body. I’ve drawn blood on people shortly after drinking homogenized milk and their blood is full of milk fat. Your thoughts on this, Chris, as homogenization seems to be the problem, not whether it’s pasturized or raw. I’ve drawn lipemic blood too and been informed that it is triglycerides that cause the plasma to appear milky. SPH that’s concerning, first I’ve read about this. So one could reasonably assume that if consuming homogenised milk that it would be better to drink low-fat or skim milk instead of full fat milk, in order to avoid some or all plaque build up on the arteries? Or is this just buying into the full-fat / heart disease theory? Thoughts? Chris? My body only tolerates A2 milk these days which is only available as homogenised and pasteurised. Raw milk is not legal in Australia, and I would not consider purchasing on the black market until the law changes. I think Chris is talking about the benefits of fat vs skim milk in this article, and not advocating raw milk. Pasteurised and homogenised milk is available for people’s health. There is nothing wrong with it. There are risks with drinking raw milk. This article is a sad but informative read : http://www.canberratimes.com.au/victoria/toddler-dies-four-children-seriously-ill-after-drinking-raw-cows-milk-20141210-124lx8.html. However- no one should risk their health by following someone else’s recommendation without doing their research! If you don’t feel raw milk is safe don’t drink it! While the death of a toddler is tragic, there is nothing in that article to link the death to raw milk, other than the fact that “somebody apparently said so.” If I ever find myself in that part of Australia, I will totally drink some black market raw milk. Thanks for the heads up! Chris, it’s worse than other people ordering blecherous low-fat / non-fat dairy for their coffee — there are many eateries you cannot even get full-fat products when you want them. As the parent of toddlers this is very disappointing to me, and we usually end up giving them the low-fat milk or low-fat yogurt rather than having them go without. My wife is a little less yay-rah-rah about all this ancestral health nutrition stuff than I am, and it doesn’t seem to me to be a huge enough issue to battle about. She does support full-fat grass-fed dairy at home, and the occasional failure to get it when we’re out falls pretty firmly in the 20 of the 80/20 rule. Still, it is very irritating to me that we can’t get full fat milk at a restaurant like Friendly (a casual dining restaurant chain in the USA known mainly for their ice cream). Ironically they cite health-conscious consumers as the reason for this. COME ON, you’re a freaking burger-and-ice-cream chain. Health-consciousness is not really a prime motivator of your clientele. So they sell ice cream but won’t sell whole milk? Pretty funny. Butteroil, can someone measure the amount of vitamin K2 in butteroil? I make butteroil for myself from Jersay cows eating only grass (30-40 different kinds of grass from May 1 to the end of June). I get 5-6 ounces of raw unheated butteroil from one pound of butter (very bright yellow). There is approximately 7-8 ounces of butter wax in one pound of butter and approximately 3 ounces of milk solids. Why do I make my own butteroil? I purchased a jar of butteroil from GP and it tasted like wax and was almost white. I put it through my process and found it had a large percentage of butter wax and not much oil. Has anyone checked the amount of vitamin K2 in butter oil? In my area I can buy raw butter for $7.00/pound. If lactose isn’t a problem, three spoons of raw spring butter is the same as one spoon of butter oil. I just forwarded this to my husband in hopes that he will stop buying lowfat yogurt. I cannot seem to tolerate any dairy, but I’ve been giving my kids full fat milk and full fat Straus yogurt. My question is, can you get all the benefits listed above from pasteurized (organic and grass fed) milk, or does it need to be raw to get those benefits? I realize raw is better, but it is very hard to find raw where I live. I’ve considered taking my kids off of milk, but your article seems to suggest that if they can tolerate it, they can really benefit from full fat dairy even if it is pasteurized. Is that correct? As always, I so appreciate your articles, Chris! Jenny, I peaked at two of the cited studies and they don’t even mention grass or grain fed. You can very confidently assume that they did not use raw milk. Good odds there was a lot of grain-fed in those numbers, stick with the grass-fed and you are stacking the deck in your favor. Hi Chris, can you tell me if this full fat argument is only meant to be a valid point in favor of organic and/or raw dairy products? (ie, still avoid dairy if it’s not organic/raw even if it is full fat?). Do the benefits of it being full fat milk outweigh all the growth hormones, antibiotics, pus, etc that most commercial milks will contain? I’ve also always been curious about Pottenger’s Cats? Is that study valid for human comparisons and therefore any pasteurized milk products should be avoided anyway regardless of their fat status? If the alternative is to only consume raw dairy, then should people who have weak immune systems be more careful due to pathogens that will exist in raw dairy (because unless you are sucking the milk directly out of the teat of a healthy cow, you will have some level of pathogens in your raw dairy). Also should people with a “struggling” liver or gallbladder be wary of consuming these extra milk fats? Pottenger’s cat experiments were certainly interesting, but they don’t necessarily apply to humans. Cats are carnivores, humans are omnivores, after all. Also, at least one substance (Taurine) has been identified that was in the raw diets of cats that was not in the cooked diet, and cats can’t synthesize Taurine, but humans can. Personally, I still eat cooked meat and will use pasturized dairy, but I do incorporate more raw animal foods into my diet- lots of raw milk, and I am experimenting with raw oysters and eggs as well. Chris, I am with you as far as the full-fat is concerned….BUT…as a nutrition specialist, I find it puzzling that you did not add the caveat of ensuring that, if one chooses to include milk-food products in her/his lifestyle, the dairy source be organic, grass-fed and, of course, subsequently, antibiotic- and added- hormone-free as well as free from chemical fertilizers and pesticides. raw milk ? bs , do you know what you are buying ? If you seek, you shall find. And yes, we know what we’re buying. Milk that still contains the enzymes required to break down the food. It is much better than the garbage they give your store bought-GMO corn/soy fed- antibiotic-injected-artificial growth hormone CAFO (concentrated animal feeding operation) cows. With this kind of “milk”, the enzymes are COOKED out of it and your body has to do all the work to break it down. Some industries pay trolls to search for these kinds of discussions on websites and make comments similar to Wolfgang’s. Yes, thank you Honora. I’m well aware of this unethical (and perhaps criminal) practice. In reading his/her dribble, this person is rather obvious. He/she should probably be demoted. My comment was more directed to anyone gullible enough to be swayed by the BS. If critical mass is not achieved regarding real health knowledge, we may lose more health freedoms. What about the artificial hormones and antibiotics? Are they more likely to be in the fattier part of the dairy products? (Of course I personally try to do raw, organic, grassfed etc.) I just wonder if the risk vs benefits is worth it for conventional dairy. Any data on this? i wish people would get of this ‘ raw milk ‘ crap . Raw milk is legal and available in many jurisdictions. Obviously it’s available if people are drinking it. There is a farm not far from me where raw, organic milk is available every day. I don’t see the cops busting them, either- not yet, at least. It’s the “milk” flavored poison in your grocery store that you need to get over. Make my dairy full fat, raw and grass fed. The more fat I eat, the less carbs I eat (whether from lactose, fruit or starchy tubers), the leaner I get. All the folks commenting on the calorie reduction when choosing low & non-fat dairy over full-fat need to realize a calorie is not always a calorie. The body burns fats, proteins and carbs differently. We are biological systems, not machines! Become fat adapted and never count a calorie again. This is interesting……i get that fats have more nutrients…..but i am 30 lbs. over weight…..lose it then gain it back. How does this square with eating full fat to get lean? I finally got my hubby to switch to full fat dairy after we watched Fat Head by Tom Naughten. I’m so glad we did! It tastes so much better, though we don’t eat nearly as much of it as we used to. I do find it hard to find full fat Greek style yogurt, but I love my breve’s! I have always wondered about this whole lowfat/nonfat milk debate. In my opinion any time we have to modify something from it’s original state, you have to add something else to it that is not natural, and to maintain the flavor. In the case of lowfat/nonfat foods there is always more sugar and more sodium in them. I always wondered what counter effects that had on folks consuming them. I usually trend toward the higher fat dairy products because in my mind they are less processed and closer to being from the earth than their counterparts. I have also wondered, what effect does full fat dairy have on our brains. There are many fats and fatty acids in dairy. Do they have a positive effect on on cognitive functioning as well? Are these lowfat/nonfat diets contributing to the surge in Alzheimer cases too? Thanks for posting this and getting the word out about milk fat. I only buy raw whole milk, raw cream, raw cheese, whole milk kefir, and I make my own yogurt from fresh raw milk. And pastured butter is so good! Raw milk is sold in Berkeley and San Francisco at Whole Foods, and Andronicos and in numerous small whole foods grocery stores. I would love to see more people consume raw dairy products so that the price will come down as at the moment it is very very high. As to its availability outside the Bay area I cannot comment- but it would be worth hunting for it even to the point of talking to organic farmers who may be able to track a source down for a few individuals. I’m curious what brand of raw milk is being sold in the Berkeley area at Whole Foods. Whole Foods pulled raw milk off their shelves in 2010 in four states, including CA, and I haven’t seen it in any of the Whole Foods that I’ve been in since then. In California I can go directly to the health food store or the farm and purchase raw milk. The Anti-health food stores don’t carry it. In Oregon I’ve purchased raw goat milk directly from a farm. I’d imagine raw cows milk is also available. Go to realmilk.com to find raw milk in your area. I think responses to this need a caveat. What is the motivation for asking? I buy raw organic cheese at HyVee grocery store in the Health Market department in Peoria, IL. Can’t buy raw milk there but raw cheese is available. So if I have a Starbuck’s moment, my favorite drink is Cappuccino(-less dairy than Latte) and it is made with the full 33-35% heavy whipping creme (carton hidden under the counter). Any Starbuck’s in the world will accommodate this request. If you ask they will also give you the heavy creme for your roast coffee. Wow…..that has certainly been food for thought. In just a few moments you have turned me around to a new way of thinking. Once again, a whole industry and billions of dollars have been spent on the premise that dairy fat and lactose is a killer. It’s nice to get some balance into the argument. Thanks Chris. Hi, I have used full-fat dairy my entire life! i have NEVER bought into all this insanity whether the no salt, no butter, eat only skinless chicken, and so on! None of it relative to me since the creator gave us what we need. Man always thinks he knows, when he doesn’t know! Not even sensible. Maddening that so many people are so jerked around by the medical, media, corporate conglomerates that they will get their caffeine/sugar fix with a drink that tastes crappy. Bleh. We use 2% milk – what my husband likes. The main reason these days that I have not considered full fat milk is calories. But I will rethink that. I have already given up on non-fat milk. Still do non-fat Greek yogurt, though. Guess I’ll have to think about that, too. Susan, just like fat does not equal becoming fat, it depends on the quality of the fats as well as the quality of the calories. There are healthy fats as there are healthy caloric foods. I absolutely agree with you. Today I had my annual physical and was totally disappointed that my doctor is still dispensing orders to eat a low fat diet…what?!!! I’ve been grainfree for over 2 months, my HDL has increased by a whopping 64%, Triglyceride decreased by 38%, LDL increased some and yep, you guessed it, that where focused his time. I’m only 5% likely to have any heart problems so he didn’t recommend a statin, not that I’d take it anyway. I’m focusing on organic veggies, grassfed beef, wild caught salmon and am feeling super! Weight is down 17 lbs over these last two months – lately reduced carbs considerably so 7 of these lbs lost in the last month. I seriously must find a new doc – his recommendation tells me he’s not on board with the thousands of participant studies about reducing sugar, getting rid of the grains, adding back healthy fats. Correct me if I am wrong, the LDL is the bad cholesterol correct? This is probably the second time I have read switching from low fat to full fat has resulted in numbers going up and doctors suggesting a statin. It makes me very hesitant to change from low fat to full fat. Skimmed milk now-a-days isn’t the same as it was in the 1950s and earlier. It now has skimmed powdered milk solids added so that it is white, which changes its nutritional profile, not blueish. Back in the 1930s when I was born, I was raised on skimmed milk (my mother skimmed it because we had a cow), because I was allergic to the fat in milk. Also many, if not most, or the recipes on nutritional sites and other site still show the use of “low fat” milk products. Low fat is still the perceived law of the land. My family was in the dairy business in the 1950’s and I’m afraid you are not correct. In the 1950’s skim milk was indeed a byproduct from the production of cream but it wasn’t intended for human consumption, it was delivered to pig farms and used for fattening pigs. The pigs have had to forgo their skim milk today due to insane popular demand so now we have to fatten the animals on grain I wonder where the obesity crisis came from since the 1950’s? could it be caused by eating pig food? Surely all those thousands of newly minted MD’s and PhD’s couldn’t be wrong could they? Seems to me that low-fat or non-fat dairy is simply another name for high carbohydrate dairy. If all you get from the dairy is carbs and protein, you are just giving yourself a high insulin shot and excess carbs. I only eat whole fat dairy and prefer a piece of cheese to slack a diet over a carbohydrate any day. Only full fat dairy for me, organic as well, since pesticides are found in animal fat after eating non organic feed.. Funny conversion…I know one thing that dairy flares the diverticulitis that my body has temporarily borrowed. And yes…people are still ignorant! I was in a starbucks line the other (because there was no other choice) and the woman in front of me ordered a latte with non-fat milk and 4 SQUIRTS OF SWEETENER. I couldn’t contain my laugh! Ive started a trend in San Diego…When I have a RARE latte, I take my own organic milk to the local Vons-Starbucks and ask for a triple espresso and have them steam the milk for me…they do it graciously…and Im sure this would work for raw milk enthusiasts as well. Have you tried to find full fat plain Greek yogurt? I’m in Southern California and I found only two options for it in a Wholesome Choice store where I normally buy these things. I was a full-fat dairy bigot preferring skim milk. I’m converting. If you’re in Orange County, you can get full fat yogurt at Mother’s Market. I get Strauss brand. You can also find it at WholeFoods, and sometimes, Trader Joe’s. I am originally from Germany and it has always surprised me how crazy we are with the low fat culture. I always say to everybody if there would be a skim milk cow maybe I would consider, but the there is none. If one tolerates dairy go for the real thing. Same here, I’m from dairy country the Netherlands living in VA and people look at me in disbelief when I add pastured whipped cream to my coffee, or sometimes even a dollop of pastured butter! I don’t drink milk, and eat a bit of full fat yogurt maybe 2x a week. Sorry, this is not a reply, but I couldn’t see where to post a comment. I drink 2% milk and I eat 1% plain yogurt? Is that as bad as skim milk and non-fat yogurt? I am trying to lose weight and reduce my total number of calories. Thank you. Don’t worry so much about the numbers of calories- focus instead on the quality of the calories. Do eat full fat foods that are high quality and limit low fat, low quality foods. Your body will be much happier for it! Really! Re: fat and getting fat: if fat made cows gain weight that’s what farmers would feed them- but they don’t. They feed them grain. It does make them fat- and sick. Seriously. Eat fat and ditch the low cal everything. It may take a while for your body to adjust but give it a try. Find a good naturopath or someone like Chris Kresser to guide you and give it a try! Chris, I am hoping you will comment on the new Swedish studies linking dairy to many illnesses and even shorter lifespan. True, this is not a fat/lowfat issue, but highly relevant to much of what you often write about. Thanks in advance for your comments. I’ve been drinking raw milk for about two months. I make my own yogurt and kefir with it. I’ve noticed that I’m very itchy — although it’s winter and could be dry skin — and I am having some blemishes I don’t ordinarily have. Could this be from the milk? I love the milk and the yogurt and kefir I make with it! I even made cream cheese. The cream is amazing! I drink some kefir in the morning and it satisfies me until my mid-morning break. It’s awesome. Wolfgang you’re trolling around on this website only goes to show your ignorance on these matters. You really should get out more often! The milk kefir could be detoxing your system and your skin is where it is showing up. If that is the case you will need to drink more water to help your body flush it out. I bet your homemade kefir is delicious! I went on JJ Virgin’s elimination diet and have been slowly adding back in foods to see if I’m unable to tolerate anything. I have found that I too get blemishes/pimples on my face, neck and scalp when I eat cheese. And I only eat raw, organic cheese. I also get pimples when I eat organic kefir. I don’t have any digestive issue from dairy, just the pimples. I don’t know if it’s from the lactose or the casein in dairy. Though, I thought I read somewhere that fermentation process of making kefir negates any lactose intolerance a person might have, making kefir safe even for lactose intolerant people. I may have that wrong – maybe it’s the casein that fermentation neurtralizes. I used to order my chai lattes with half and half. But then it occurred to me that maybe the fat of milk from CAFO cows isn’t something I should be consuming, so I went back to 2% (can’t bring myself to do skim) at coffee shops. I drink raw milk at home. Chris, does the fact that the “Starbucks cows” are unhealthy matter? I was thinking about this too. Toxins in the body are stored primarily in fat, so it would make sense to avoid full fat dairy products if they aren’t grass fed and organic. Same goes for cuts of meat. I assume when ordering the occasional latte, it’s better that they serve low fat dairy since it’s factory farmed. Isn’t factory dairy fat high in toxins? Milk: 1953-1954 — mother’s milk. 1955-1969 — chocolate whole milk. 1981- 1986 — no cow’s milk or yogurt, small quantities of some cheeses, butter and ghee fairly freely. and from 1981- 1983, fresh raw goat’s milk. YUM!!! 1986 – 2005 — whole milk, whole milk yogurt, some cheese, butter. 2005 — present –very limited dairy, but what there has been has been full-fat. Current conclusion: I am better off the less dairy I consume, and better off the higher percentage of butterfat contained in the dairy that I consume. In addition, I do better with milk that has been turned into some cheeses, or yogurt, or has at least been turned into scalding or boiling milk for coffee or cocoa, or churned into ice cream or butter, than I do with fresh (pasteurized, homogenized) milk. The less of even these dairy products I consume, the better, and with ice cream there is the whole other issue of sugar, which I am trying to eliminate from my diet. I like pudding better anyway, but there is still the sugar issue, as well as the additional issue of starch. I also have a taste for custards. At least there the thickener is egg as opposed to starch, so it is much better for me, if I can only find a recipe that has no sugar. For a few years in the early 1980s we got our milk from a fellow down the road who had goats, and there is nothing better than fresh raw goat’s milk. Unfortunately we have not been able to find fresh raw goat’s milk since we left that town. (so fresh that at least once it was still warm from the goat.) The only raw milk I have ever had was goat’s milk, which was really special and delicious. Look at JJ Virgin’s cookbook – no sugar there and wonderful desserts! Google recipes for chia seed chocolate pudding or avocado chocolate pudding. Chia seeds remind me of tapioca pearls. They are both yummy pudding alternatives and good for you when made with healthy chocolate sources, like raw cacao. Careful eating too much chia seed pudding if you are new to it. It can upset your digestion if you’re not used to it. Need to drink lots of water when you eat chia due to it’s very high fiber content. The Paleo World — well at least the more bullet proof tangent of it — pushes butter for this. For the life of me I couldn’t see why butter would be any better than pure cream (ie, zero protein), since all butter is is churned cream. Your article seems to confirm my conclusion; would you agree? Great articles, keep up the good work! while butter is churned cream, remember all that “buttermilk” that comes out in the churning. Some people may do better on butter versus cream because butter has minimal (but not zero) dairy proteins (clarify it into ghee if you want to further concentrate it and remove the proteins). cream actually does have some of these proteins and some people are extremely intolerant of them. although i agree with you, and luckily i tolerate most dairy very well, so i pour on the cream! I am very sensitive to milk proteins — they cause inflammation, and at this point I have dialed the inflammation down so much (knock on wood and hopefully I didn’t just jinx myself saying that) that I can detect even small amounts of inflammation caused by something I eat now, and Natural by Nature causes none. YMMV. Kevin , where do you live and what stores carry it? I love this! It drives me nuts everytime I hear someone order a non-fat mocha latte or something like that. You’re literally just drinking sugar. Yes, it drives me nuts that a non-fat sugary latté and a sugary low-fat muffin are still perceived by many as a “healthy choice”. Brain washing is powerful and it’s constant re enforcement is incedious (transcends generations). People like Chris help you become a health leader for you. My husband and I made the change to paleo 3 1/2 years ago and I have been encouraging my patients and family to use nature as a guide. I have yet to see a cow produce low fat milk. I was thrilled to find raw milk in a store in SC and am currently transporting it home to FL. I hope the war against raw dairy will end soon. We have never been healthier than when we changed our diet and where we source our foods. I am always happy to read about more evidence to support my (and by extension my family’s) dietary consumption. I went Paleo in July and that evolved into Nutritional Ketosis a month ago. We have been consuming raw milk, full fat raw cream and sour cream without incident, and with improved health markers for about 6 months. We too have shifted our Starbucks consumption from double non-fat lattes, to coffee with whole cream or a double “short” latte with whole cream. From a taste and satiety stand point, its been fantastic. So then I’m curious to know what the “recommended” or “target” cholesterol numbers should/would be on a HFLC WOE? I make my own high fat yogurt using cream and half-n-half, fermented 24 hours. I also make my own kefir from whole milk. Love cheese and cream cheese! Doc wants to start me on a statin. What do I tell her?! Get the more extensive lipid test done. Regular cholesterol testings don’t show much. Chris wrote a lot about this here. My new Paleo doc took me off statins and keeps a close eye on me. She suggested no grains at all and I take Niacin and the fish oil (TG form) she suggested. My cholesterol numbers and all lab values became normal a few months after giving up all dairy except ghee. This, after 4 years of eating low carb paleo during which time my A1c was elevated and LDL was too high. My dairy during that time included raw goat milk yogurt that I made, and whole fat cheese and butter. We are all different, but how about trying some diet tweeking and retest in a few months? It might be worth a try rather than jumping on a statin. I’ll assume you are a woman. 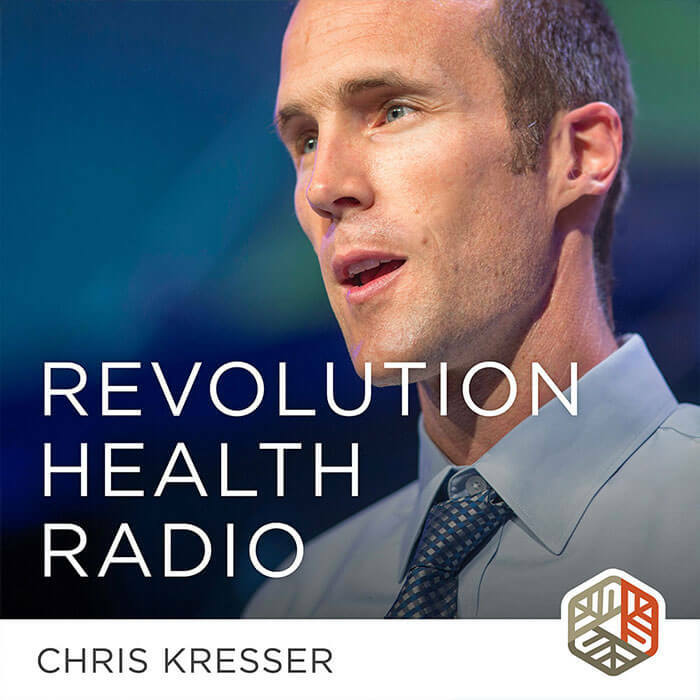 If so, check out this old Podcast by Chris, and you’ll see that statin use has never been proven beneficial to women. Tell her no way…until she or you can prove that the particles of the LDL are damaging, statins will make everything worse for you. Read Dr. Williams Davis’ book “Wheat Belly” – the section on cholesterol – based on a lot of scientific proven theory and testing. Your brain needs cholesterol to function especially as you age. If you don’t have diabetes now – great – BUT if you start statins, I can almost guarantee that diabetes will be in your future. It is most unfortunate but reversing the train will take as much effort as it took to put it in motion. In the meantime loose your latte even full fat and enjoy a caffè breve. I endorse full-fat dairy products as the best alternative but only if they are obtained from cows that have been fed organic, non-GMO food (preferably all-grass) and no antibiotics have been used. If you find yourself out and about and ordering a latte, ask for it “breve” (breh-vey) style and it will be made with half and half instead of whole milk. Delicious. I do the same. Although, I’ve stopped having coffee or latte’s out, instead we make our own with chocolate sauce my wife makes with water, coconut sugar, honey and cocoa. Not that that’s necessarily a “healthy” sweetener, but it’s NOT loaded with other toxins that the factory sweeteners add. We also make them with half and half…our weekend treat. The rest of the week we just have coffee with a dash of the chocolate sweetener and about 3 Tbsp of half and half. Life is so good eating a higher fat diet. Thanks for all your work, Chris! I am temporarily off of coffee for a while due to my functional nutritionist’s diet protocol for adrenal failure, but will be able to re-introduce it in the form of naturally decaf hopefully soon. I love my espresso latte! When my espresao machine died I began to take my raw A2 organic whole fat milk in my own glass travel bottle into my local coffee shop and order my shots of espresso. They got used to my request very fast and would start making it when I walked through the door. When I began adding whole raw butter to it along with my spices (mostly tumeric, cardamon, ginger & cinnamon and then began to change the spices in various combos) they would want the recipes to try. I had them hooked. I found it was pretty easy to each them by example. They just wanted the taste experience, but when they found out the health benefits they too became enthusiasts and began to experiment as well. Finding full-fat Greek yogurt is next to impossible. Plain full-fat yogurt is easier to find (always on the bottom shelf! ), so I strain it with a coffee filter and a mesh strainer. It’s cheap and it works well. It’s interesting, it seems that a lot of folks who live around me now understand that real butter and full fat dairy are healthier than the low fat stuff. When I buy whole milk in the local Whole Foods (I live in the greater Boston area), the racks are always full of skim and low fat milk but the whole milk is usually running low. We have a fantastic local dairy that they carry at the store (http://highlawnfarm.com/) but the only problem is their whole milk is sometimes sold out, while there is always plenty of their skim and low fat milk available! I guess the type of people who choose the more expensive, higher quality local dairy are aware of full fat dairy’s benefits. Thanks Alec for sharing. I live in the greater Boston area too and I did not know about this valuable resource. I live in a very small town in Maine, at least an hour away from a city, so the grocery stores are rather limited in what they offer. We have the Cabot brand, though, and they make an all-natural (no added ingredients) whole milk (10%) plain Greek yogurt. It’s so much better than the fat-free kinds. I don’t remember the price, but it’s no more costly than the other brands. On a somewhat related note, I was glancing at recipes in a magazine the other day, and there was a shortbread cookie recipe that specifically called for Kerry Gold butter … and nonfat milk. Huh? If you’re going for the good butter, why would you skimp and use nonfat milk? I’d go for the heavy cream every time. I’ve recently found a local source for heavy cream from grass-fed cows that doesn’t include carrageenan. Now THAT’S hard to find in my little corner of Maine. Although I was once on the non-fat bandwagon, prior to learning about the benefits of the paleo diet, I am no longer. Aside from the benefits of full-fat dairy, I find myself more satisfied and thus actually eating less when I pay attention to eating nutrient dense food and having adequate fat in my diet. When my body is getting the necessary nutrients I have fewer cravings and am less hungry. I love reading these articles. They keep confirming that I’m doing alright with my don’t-believe-the-hype diet. I never buy low-fat versions of anything. I buy as little processed food as possible; not factory-produced biscuits but home made cake (made with full fat butter and lots of sugar), no ready-meals (I don’t even have a microwave). The problem with yogurt, as Mandy and others have mentioned, is that it’s hard to find full-fat. In the supermarket the other day I found 2 full fat brands and lost count at 30-something low fat options. I recently watched a video instruction for a new Breville espresso machine, on which the demonstrator clearly says low fat milk bubbles better when you steam it. The inference is to use low fat milk. I grew up on skim milk an always preferred the taste. Mostly what you are used to. check out The Fresh Market if there is one close to where you live in Florida. they carry a Bulgarian yogurt called White Mountain that comes in a full fat variety, but check the label! Since a lot of folks new to the real-food/Paleo scene will encounter Loren Cordain’s articles on dairy, it might be a good idea for you to openly address (or rebuke) some his claims you disagree with. I think it would serve as a good example of how 2 smart people can disagree on key points yet adhere to much of the same philosophy when considering the larger picture. My previous article that I linked to above addresses some of those claims. Both my kids, ages 13 and 16, have very high cholesterol – both around 260. It’s definitely familial on my busband’s side. They are active and not overweight. I’ve spent the last year on a frustrating journey of reading quality research from you and others, and hearing the exact opposite advice from doctors we’ve seen. A lipid specialist told me to only give them low fat dairy, and he shook his head in disbelief that they don’t start their day with cereal. I just smile and nod. I also could not get anyone to prescribe them the recommended blood tests for lipid size. No one’s heard of these tests. I asked 3 doctors. Then I just went ahead and paid for them at an independent lab.. The results were bad and ive ultimately decided to put them both on a statin, but because I’ve done my own research I’m at peace with the decision. My point – finally- is that the medical community is so far behind the Paleo community. I understand docs are busy and therefore rely on guidlines. It’s frustrating, but it he lesson is we have to take our health into our own hands. Meryl….can I suggest something for your teenage kids instead of medication. In my nutrition training I’ve learnt high cholesterol is from inflammation and cholesterol is the bodies attempt to bandage it…so to speak. Instead of forcing the numbers down with scary meds that have side effects. Try them on an anti-inflammatory diet. This will allow the body to heal itself. I suggest also looking for foods that are irritating like gluten, dairy, soy, eggs. I would add a lot of raw foods in and use green smoothies several times a day to achieve this along with salads especially in summer. Take out dairy but give them fermented kefir milk instead and coconut water kefir, take out gluten but allow a few whole grains. Organic meat in small amounts. You will need to experiment. Ease into it bit by bit and keep adjusting until you see a difference. If you can’t figure it out then here’s a quick fix that healed me of everything. In summer go raw vegan as per Dr Doug Graham’s 80/10/10 diet. Just for a few months. It’s an amazing feeling and it gives the body time to heal. Loaded with evrrything to allow the body to grow as teenagers too. Good luck! Be careful about raw green smoothies, juices and other raw foods. The cruciferous family–cabbage, broccoli, mustard and many other greens depress thyroid activity and can create hypo-thyroidism. Too much raw, cold food and drinks are believed in Traditional Chinese Medicine to negatively impact kidneys, which in turn impact thyroid. If you are not already familiar, you may want to check out the work of Dr. Thomas Dayspring and some of his case analyses on line, though I cannot recall one with these facts on teenagers. I think most people choose low-fat and non-fat dairy options because they want to “cut down on calories.” So many people in the general population care very little about the health benefits of full-fat dairy because they don’t want the extra calories associated with them. This is how the thinking goes outside of our little world. How can we change this? You’re spot on. It is as if having a skinny latte makes up for the muffin somehow. Many overweight people or those with cardiovascular disease or diabetes are also specifically told to go for low fat options by dieticians, doctors and nurses. Changing the dietary advice put out by government and health organisations will be necessary before the majority of the population change their eating habits. My favourite high fat dairy food is cheese eg Dolcelatte and ripe Brie. The portions of these served in restaurants, along with the unnecessary biscuits and chutney is pathetically small compared with my home portions. Hopefully you’ve discovered Brillat Savarin, the king of triple cream Brie. It’s heavenly. a nutritionist put me on to low fat and whole grains years ago in order to lose weight. I haven’t lost a pound but I do enjoy whole grain breads. Is it the whole grain that is In the way? Should I eat only gluten free bread? That tastes terrible to me. Philip, to answer both your questions – yes, but moreover it is ALL grains in general, whole or otherwise, in any form. There are exceptions for occasional grain use such as fermented or sprouted grain products, but generally the human body does far better without them. I used to do the low fat & whole grain ‘diet’, and over the years I gained weight and my joints ached more and more, and my seborrhea dermatitis worsened. I found the paleo diet and have lost 20 pounds, no more joint ache, and dermatitis is very minimal to none. I eat full fat dairy (pastured cows, etc. ), and the only grain I eat (on occasion) is white rice at a favorite Thai restaurant. At first I really missed my granola, whole grain toast, and corn bread – but I found some delicious paleo type granolas, and I’ve lost my desire for whole grains. I feel so great, and I just love all he full fat dairy I eat – whether it be specialty yogurts, Kefir smoothies (with banana and two farm fresh egg yolks), raw pastured milk swiss cheese, and paleo granola with full fat raw pastured cow or goat milk. ps: I am 55, 5’9, 150, lean, with perfect blood pressure and blood work – no diabetes in me or my family, no heart disease in me or my family (my relatives all lived long lives) …my cholesterol is above 200 and my doc keeps insisting I go on a statin. Seriously, doc?? Go grain free now….read Dr. Perlmutter’s “Grain Brain” you’ll be so incredibly happy and especially healthy. Does this hold true even for people with Familial Hyperlipidemia? It depends on how they respond to saturated fat. Why dont people know the difference between beta casein A! and A2, raw milk from beta casein A2 cows is the healthiest milk you can drink, my son was dairy intolerant but raw milk A2 works for him, his health has improved and he says, ” its yummy” do your research !!! do you own a cow ? You can actually buy cow shares from small farmers in your area – google it. Thanks for the article Chris! Effect of butyrate on colon health is really intriguing. How much full-fat Greek yogurt (eg 10% fat content) would a person need to consume in order to produce the same effect as 4g of butyrate? For somebody with Crohn’s/IBS this might be worth giving a try (assuming good tolerance of dairy). A lot. I don’t think it would be easy to replicate the effect of that much supplemental butyrate in the diet. Thank you very much for your article on full fat products! I ask for fatty cuts of meat- yummy! We drink full fat milk and use tasty butter in our cooking- we are really enjoying our health and our clothes are getting looser!!!!! Hooray!!!! Our hope and prayer is that more South Africans embrace this type of exciting lifestyle!!! I ask for skinny cap or skinny latte purely for the calorie reduction and weight control. The difference between skinny and full cream milk per cup is approx. 70 calories which means that I can use the calorie difference towards something else throughout the day. It has never crossed my mind that drinking full fat milk could contribute to cardiovascular disease. Too much of any food/drink can contribute to health issues. Moderation in all things. Yeah, I used to think that way too, but it’s like being a little bit pregnant, you either are or are not. Low fat anything has to have something added in place of the fat and that is generally HFCS – which doesn’t necessarily increase blood glucose BUT it does go directly to your liver and create much higher tryglycerides. It pays to keep to as natural as possible – your body knows when to signal stop eating, I’m full. ps I would have never dreamt such a thing a few years ago! I used to be totally on the low/no fat bandwagon for years when I was trying to lose weight, never happened though. I also used to have asthma every winter and was told I had lactose intolerance, then I started to use raw milk and I haven’t had asthma since and recently when I had to change my diet due to health problems and went Gluten free, I have Non-Celiac Gluten Sensitivity. A positive side effect from this change was that I have been loosing weight. In the early 80s when the low fat propaganda was gaining force, the fact that the Japanese were the longest lived on the planet was used as factual support. To check that out I went to the Almanac and there found refuting evidence. The 2nd, 3rd and 4th longest lived people were the Swiss, the Andorrans and the San Marinos. Those are all mountainous dairy heavy cultures. So instead of giving up butter I upped my intake along with whole milk cheese and homemade whole milk yoghurt. I am 72 and still playing soccer. Since then whenever I hear health claims especially those from the medical or food industry I always look for real world evidence. Thousands of years of cultural experience and wisdom surpasses any “scientific” conclusions. For that reason I have been using coconut oil for over 30 years for cooking and skin care. When the restaurant supply houses quit carrying coconut oil, I had to go to the cosmetic section and find coconut oil labeled for skin and hair. Found it difficult to make the transition as the supermarket shelves are laden with low fat options. Luckily, l have found a place to buy raw milk and can’t have anything else now as it is so delicious. The biggest improvement for me, was in my mental health. I am unfortunately allergic to casein. I went vegan years ago and when I reintroduced dairy, I felt the effects. I was tested and there it was. No casein allowed! I still eat it occasionally in the form of aged, grass-fed, full fat cheese, but as I’ve adopted the full fat, not processed foods, etc lifestyle, I miss dairy more and more. Sometimes it just satisfies a craving for other foods that I want to avoid. And as a former barrista, the more fat, the nicer the foam on the milk. I hated making lattes with non-fat or (ugh!) rice milk. Wimpy foam. You said you are allergic to casein. I’m moderately lactose intolerant, with both ulcerative colitis and Crohn’s disease. Also my ascending colon was removed 9 years ago. I use full fat a 2 milk, which is produced by cows without the problematic a 1 casein gene. I recently started to drink 2 glasses of full fat homemade Keifer per day, plus one cup of homemade yogurt. No problems with lactose. Major improvement in cholesterol, blood pressure, weight and bowel movements. Since I do have a history of heart disease, I am concerned about the long term effect of full fat milk. Three stents. I do eat very little red meat. No junk food. Use avocado or coconut oil for cooking. Bought ghee, but it looks pretty gross. Just sits in my fridge. Great article, Chris. I have been meaning to send an email to our workplace team at my office. They still stock only low- and non-fat milk and yogurt, so this is a great one-stop post with proof. I never bought into the low-fat, no-fat craze. I think it all tastes like drek. I have always tried to govern my food purchases by asking myself if what I was buying was something that would have been on my grandparents’ table. They were farmers and ate simple, nourishing, basic whole foods. No processed food…period. And like a previous commentor, i have trouble finding yougurt that is whole fat…or plain, for that matter. I agree Dee, when I was in USA last year I found it crazy how hard it was just to buy normal yogurt or greek yogurt with full fat. Everything except 1 brand had non fat or low fat! Glad that back hear in AUS its a lot easier to find real food 🙂 Full fat yogurt – so tasty! I am in Germany and full fat (10% or 3,5%) yoghurt and plain yoghurt are sold in most shops. But it’s very hard to get raw milk. Luckily, the low fat craze never became that popular and it wasn’t pushed as much by the media. Here in Christchurch, New Zealand I find the supermarkets are stocking full-fat organic yogurt but they are often sold out. It’s as if the demand is increasing but the so-called sophisticated computery isn’t getting the message. A lot of the folksy appearing and other niche alternatives to my favourite brand are actually manufactured by Fonterror who produce 95% of dairy products in New Zealand. These guys are basically scum e.g. for example they have shares in palm oil production companies in Indonesia: read singed orangutans and displaced indigenous people from virgin tropical forests. I love the low fat craze, it keeps the price of whipping cream down. I have been on a low carb high fat diet for years and I buy almost nothing that says low or reduced fat. It can be hard to find full fat yogurt, but it is there. When I go into the coffee shop and everyone orders lowfat drinks, I order a breve–made with half and half– and at home I use whipping cream in my coffee. I put raw butter — yes, butter — in my coffee. I use an immersion blender to distribute it fully through the black coffee. raw butter , hello ! I can’t even find full fat yogurt in my grocery store! So frustrating!! Diet plans like Weight Watchers still heavily promote the use of fay free or low fat dairy. I recommend picking up a fat free half and half and looking at the ingredients. The one I picked up had artificial color, corn syrup, sugar and 10 other ingredients. The full fat one contained only milk and cream. Not sure if you have a Whole Foods near you, but our local store started carried Maple Hill Creamery full-fat plain yogurt. It’s #3 on Cornucopia’s list of all yogurt brands, and it’s not much more expensive than Straus Family Creamery (here in the Bay area). Really good, and super creamy. Yes, this is a really unfortunate consequence of the fat phobia. In the Bay Area we have Bellweather full fat sheep yogurt. T.D.F. I love Bellweather sheep’s yogurt. So tangy, creamy and delicious. I know; it’s SO rich and yummy. Since it sounds like you’re in the Bay Area too, another incredible one to try is Garden Variety sheep yogurt. It’s made by a small artisan goat dairy in the Santa Cruz area. Her sheep feta is raw and excellent too. You can buy both on Goodeggs.com if they deliver to your area (and BTW, Goodeggs is a fantastic company with excellent client service, and I’m only a happy customer, no affiliation). Assuming normal digestion, does butyrate make it to the colon? I am under the impression it needs to be a fermentation product, produced in the colon. I think the yogurt section of the supermarket is a reflection of the opinion of the general public on dairy fat. The overwhelming majority of product is low fat or fat free. More of these products contain refined sugar, in some form, than full fat dairy. That’s what sells. I have recently been switching over to regular dairy, but I have not noticed any difference yet. I read somewhere that skim milk was better for steaming into lattes/cappuccinos, but it was a non-nutritional recommendation. Low/non-fat milk *expands* more when you steam it because it has less fat content, but whole milk has much better, creamier texture and taste for milk-based espresso drinks. I honestly believe that if most people knew how fat-free dairy was made, they wouldn’t drink it. It’s gross. Plus, all the good stuff is in the fat! I recently had to write a short research paper on the “should we drink milk or not drink milk” controversy. It is amazing the amount of “anti-milk” milk propaganda that is being circulated here in the US. I discovered that if an article was published by the USDA, raw milk “BAD” — but there’s lots of good research available that, I think, demonstrates all the wonderful benefits of full fat dairy. Unless and until the US government (i.e., the USDA) gets fully behind the effort of getting the word out to the public, change is going to be very slow and very, very hard!